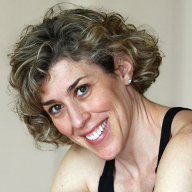 Lisa Hunsaker is the owner of Turning Point Fitness in Columbus, Ohio. Lisa's love for physical movement started with her study of dance at the age of four. She continued her dance career at The Ohio State University, but graduated with a degree in Hospitality Management. She has worked for Walt Disney World and Starwood Hotels. Lisa is a certified Health and Fitness Instructor through the American College of Sports Medicine (ACSM), Power Pilates Teacher Trainer, ACE Group Fitness Instructor, Xtend Barre Instructor, and Pre/Post Natal certified. Lisa considers herself to be active in the fitness community in Columbus and is excited about bringing the latest fitness trends and research to Turning Point Fitness. Find Lisa Hunsaker at a studio near you.